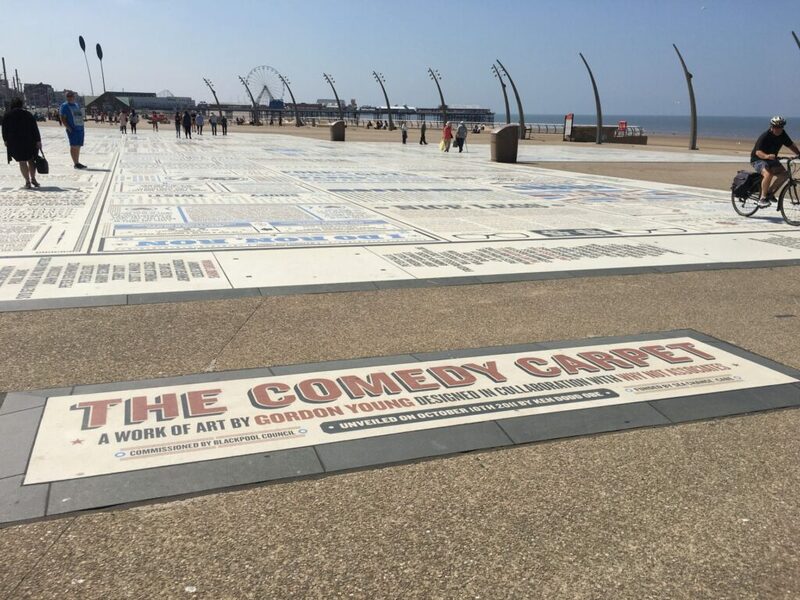 Have a look at the Comedy Carpet, it’s right against the seafront at Blackpool Tower Festival Headland. 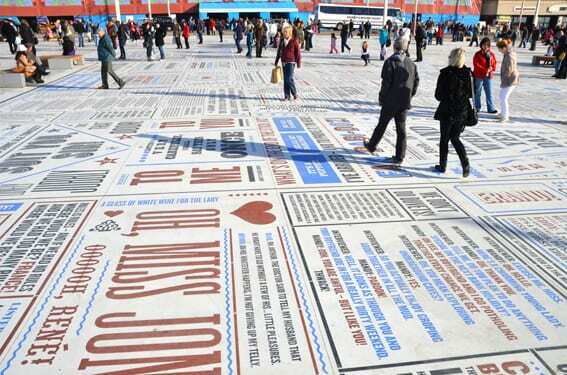 A huge piece of art installation, the Comedy Carpet features the names, jokes, songs and comedy catchphrases from more than 1,000 of Britain’s best loved comedians. 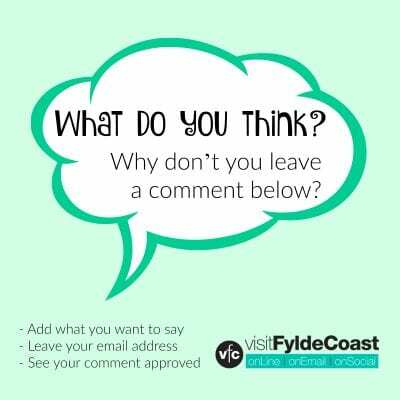 This video clip pans across Tower Festival Headland. 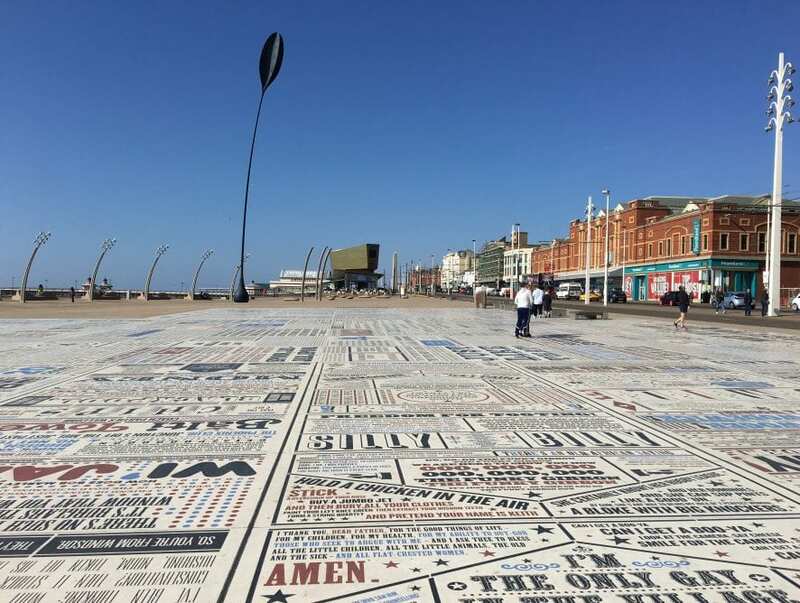 From Central to North Pier, looking over the Comedy Carpet. 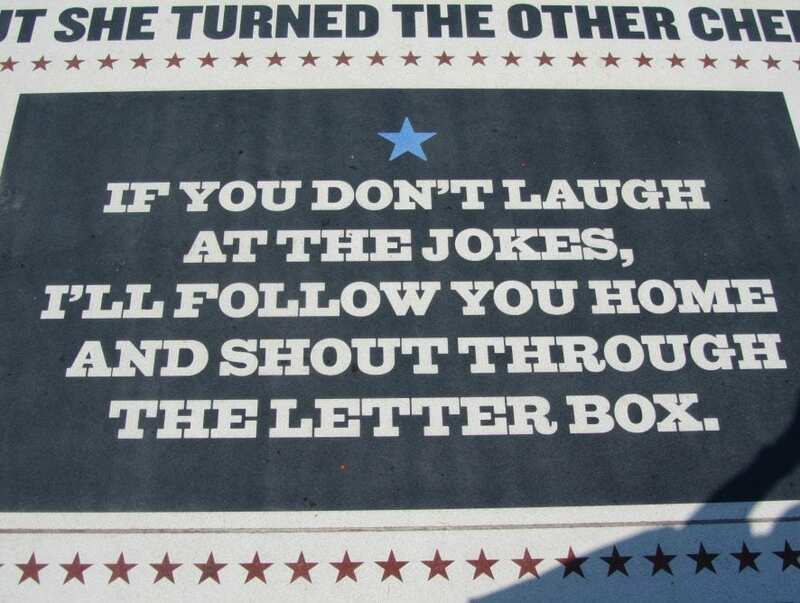 How’s the Comedy Carpet Made? 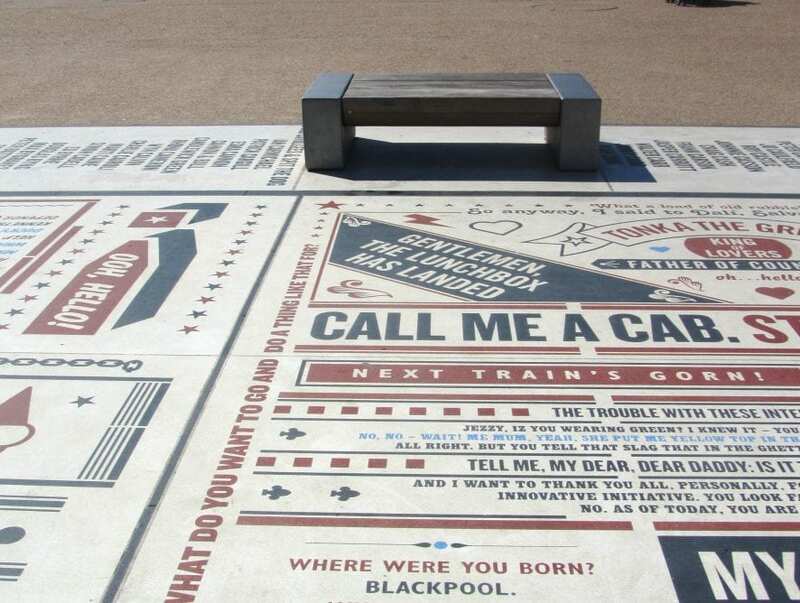 The Comedy Carpet on Blackpool seafront was a labour of love to create. In total, the project took five years to produce, from concept to completion. 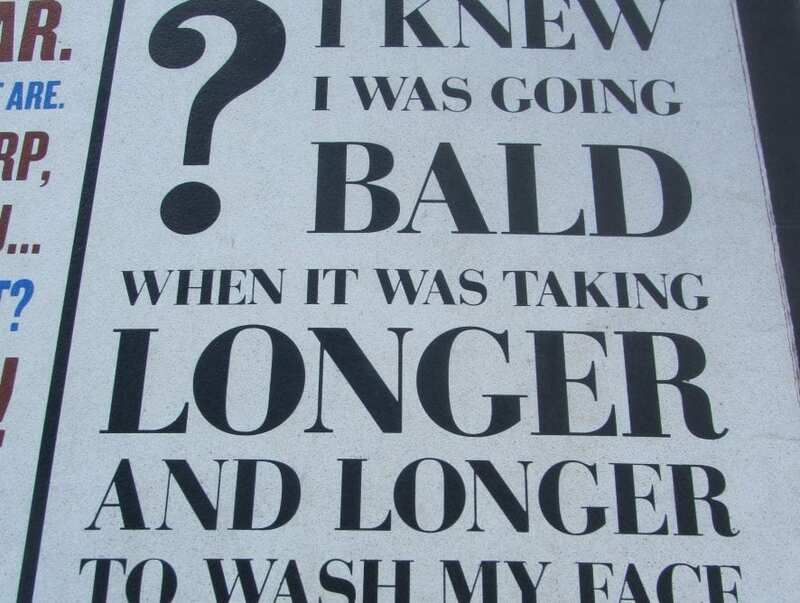 Each letter is made individually from 30mm solid granite. 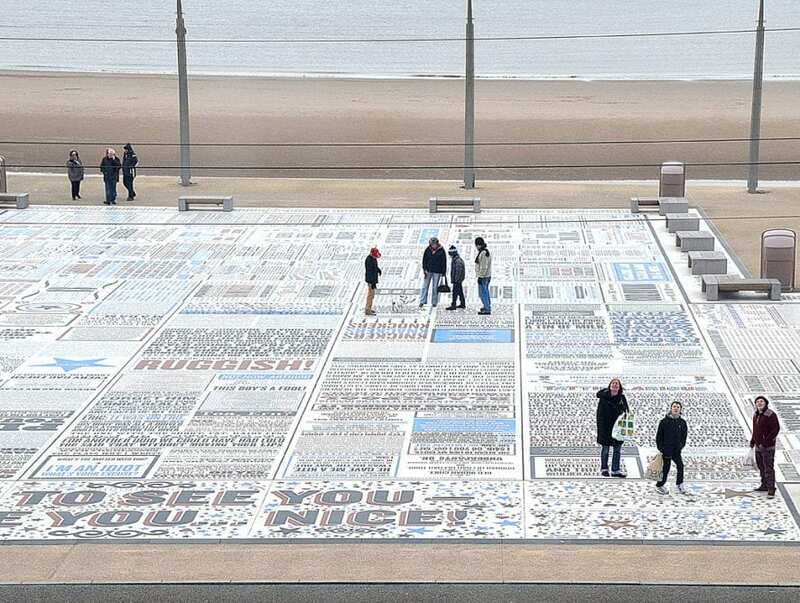 The art installation includes a whopping 160,000 individually cut letters. 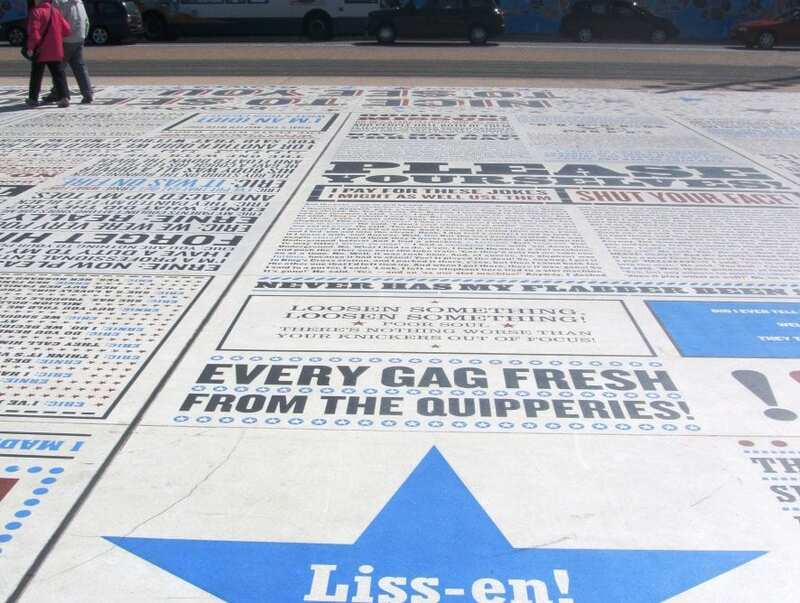 They’re set into concrete and spell out the catch phrases, jokes and sayings which cover the history of comedy.  Have a look at this gallery of jokes and views! 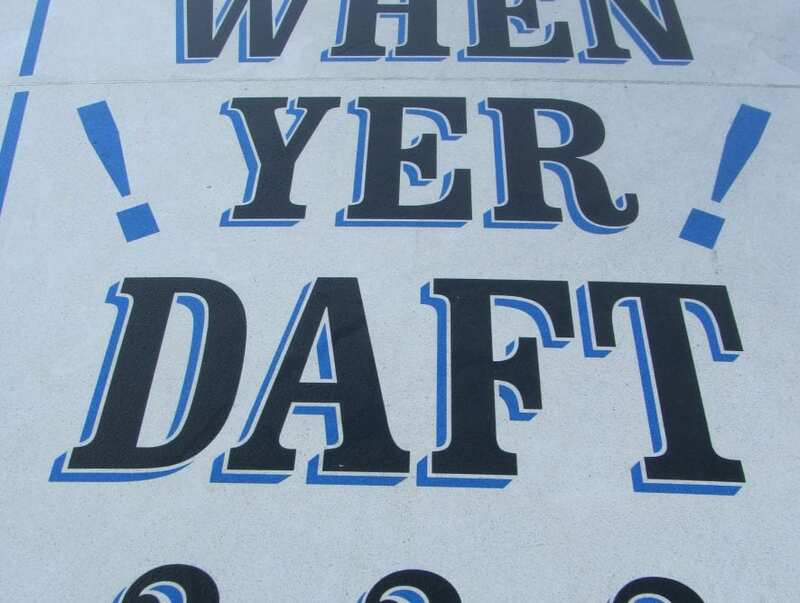 The letters vary from a few centimetres to almost a metre tall. A lot of it can even be read from the top of the Tower! 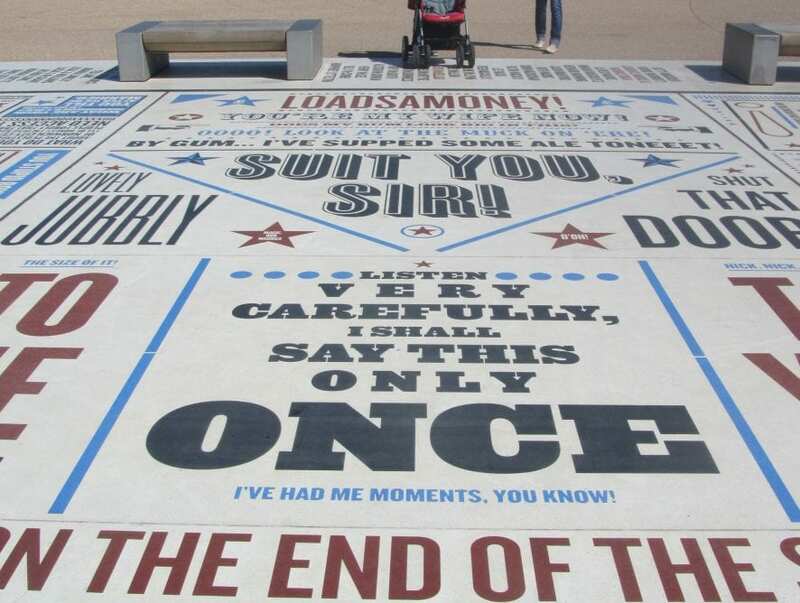 The Comedy Carpet is laid out in a cross shape. 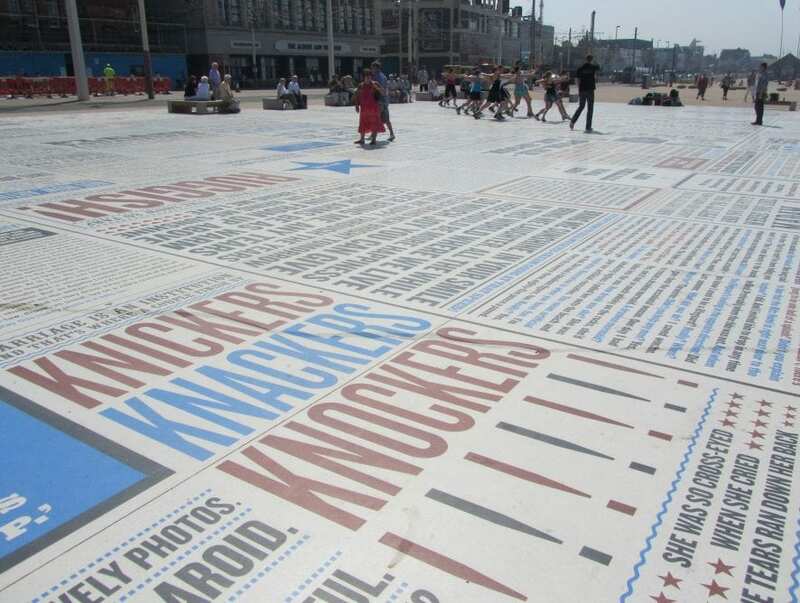 It links the beach and road, north and south promenades. It’s laid out in a grid of 10 slabs. A large carpet indeed, it covers a whopping 2,200 sq metres. 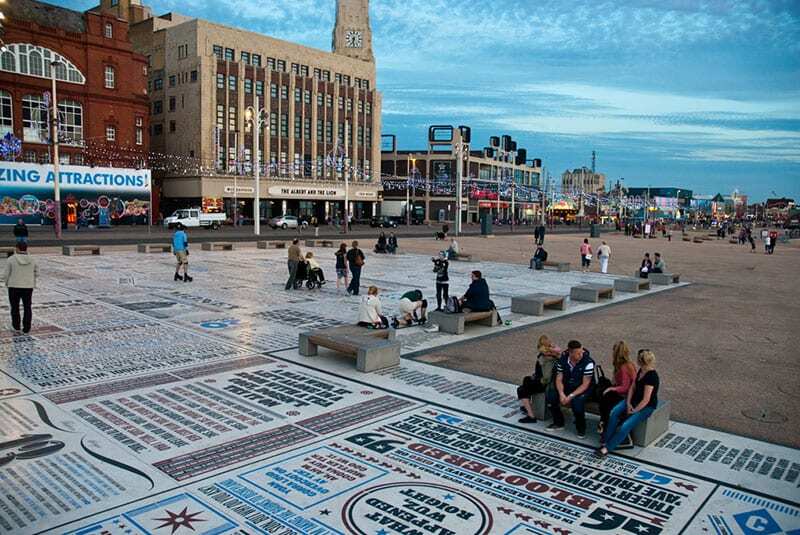 It was built at a cost of £2.6m and was funded by CABE (Commission for Architecture and the Built Environment) as part of the Sea Change programme. Gordon Young designed the Carpet. 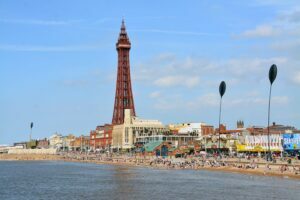 During his research he decided that Blackpool was the nation’s ‘magnetic chuckle point’ because of the number and breadth of comedians who’ve performed at the resort over the years. 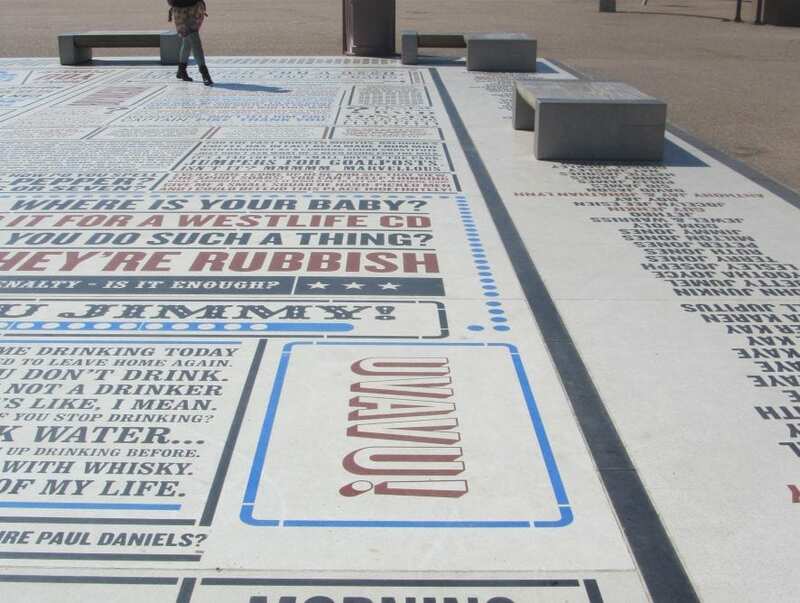 The Comedy Carpet forms the centre of the Tower Festival Headland. 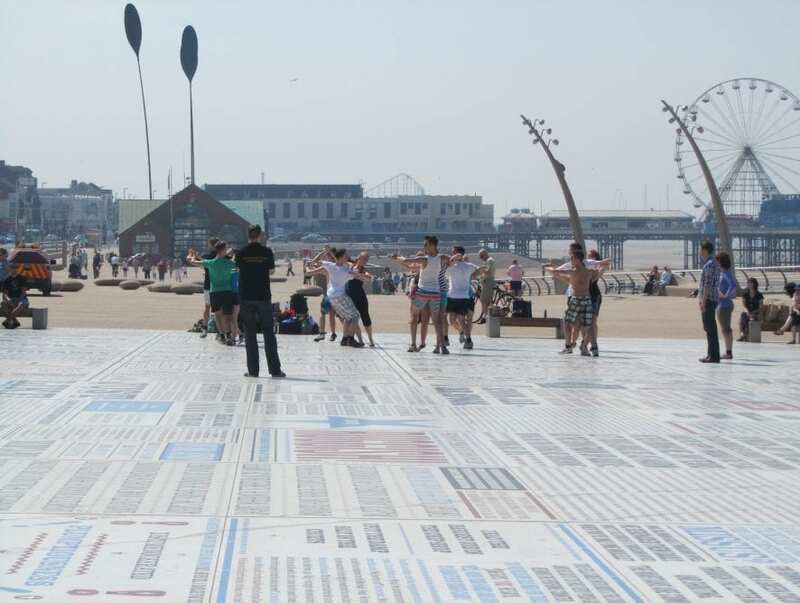 That’s the open public open space which hosts events like the Illuminations Switch On Festival and the Air Show. 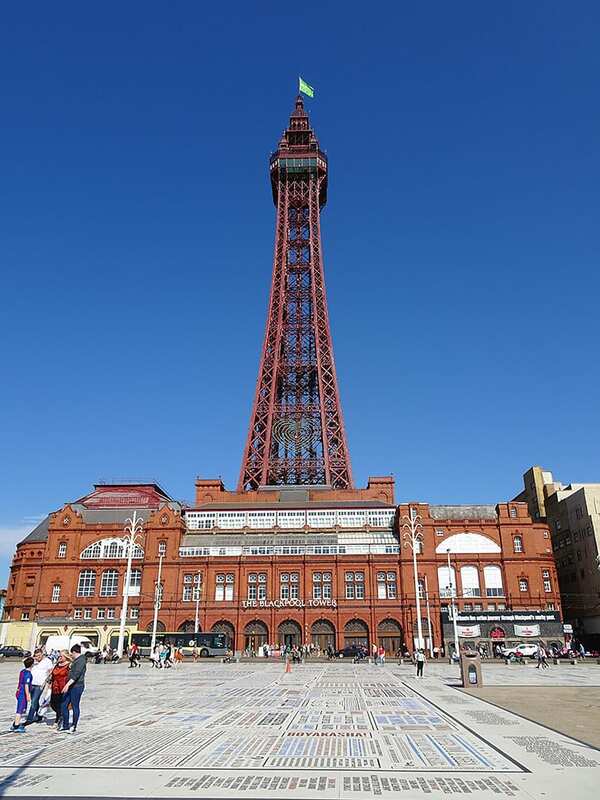 In July 2018 the magical Blackpool Tower Circus Parade arrived here to celebrate 250 years of circus! 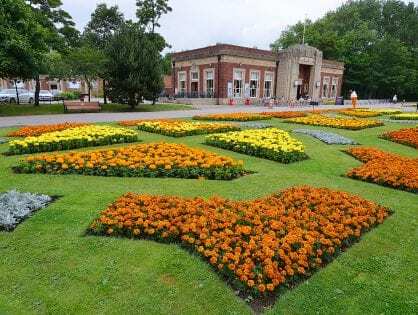 Well Worth a Visit, any day of the Week! 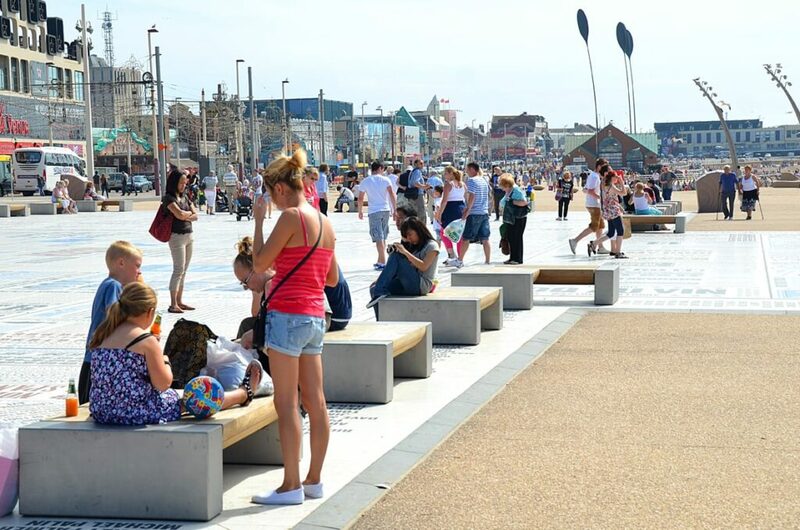 Around the edge of the carpet are concrete benches, huge seating pebbles and lighting columns. These incorporate the windbreaks that you can see in the Circus Parade photo above. It’s a versatile and practical space. 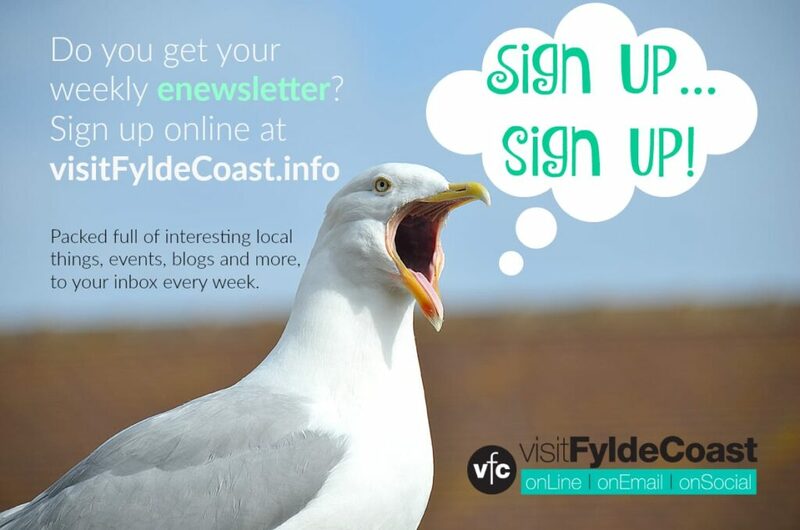 It’s well worth a look on any day of the week. From here you can watch the murmurations of starlings as they roost on the piers from autumn to spring. 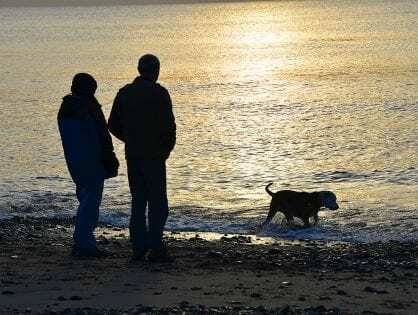 Catch endless sunsets over the sea at the end of clear, sunny days. Of course in stormy weather you might even see the waves whipping over the top of the wall! 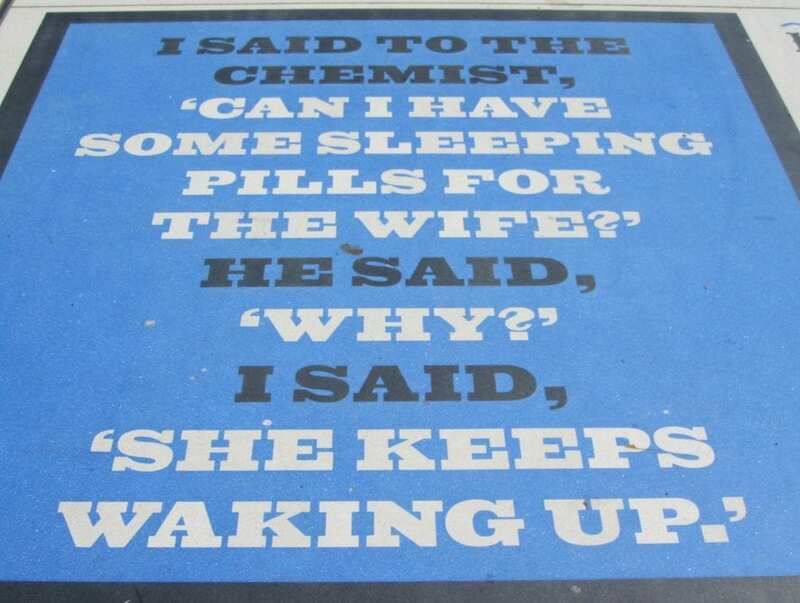 You can find out more about the Comedy Carpet from its own website. 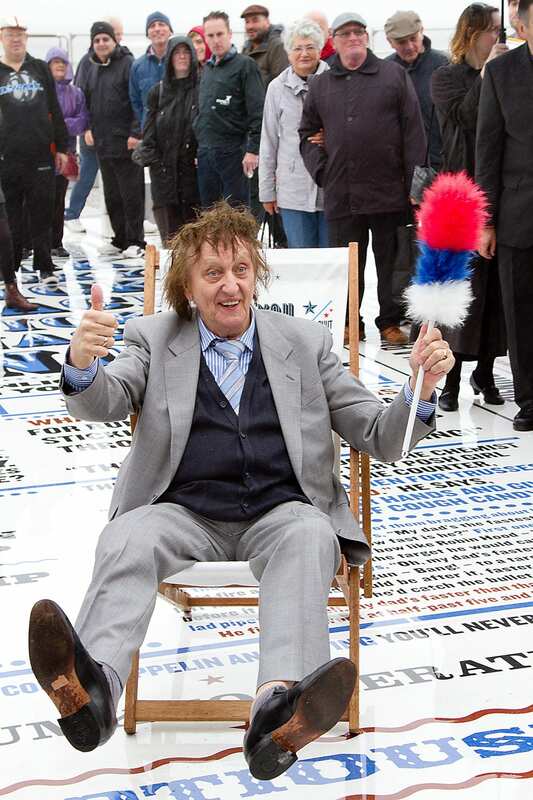 Sir Ken Dodd had the honour of performing the grand opening ceremony at 12.30pm on a damp and drizzly 10 October, back in 2011. 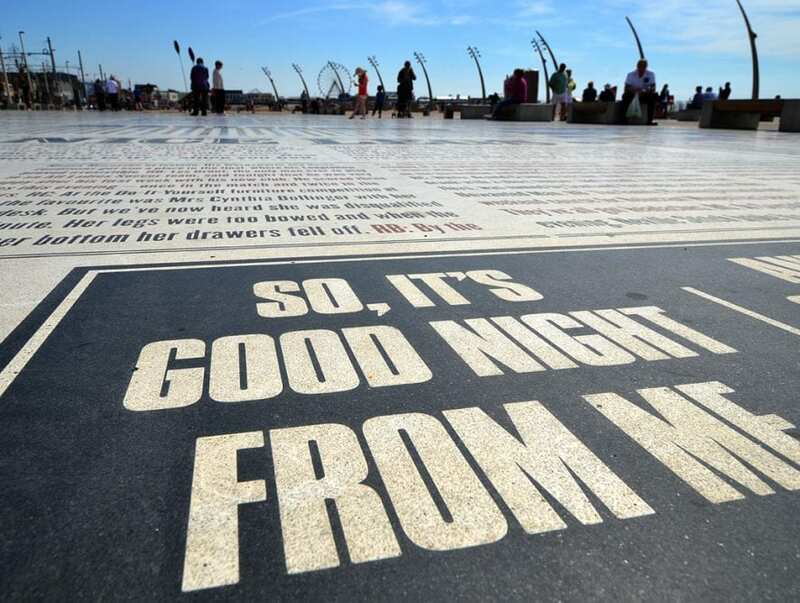 A firm Blackpool favourite and long time performer in the seaside resort, Doddy’s jokes feature in one of the five sections in the centre of the carpet. 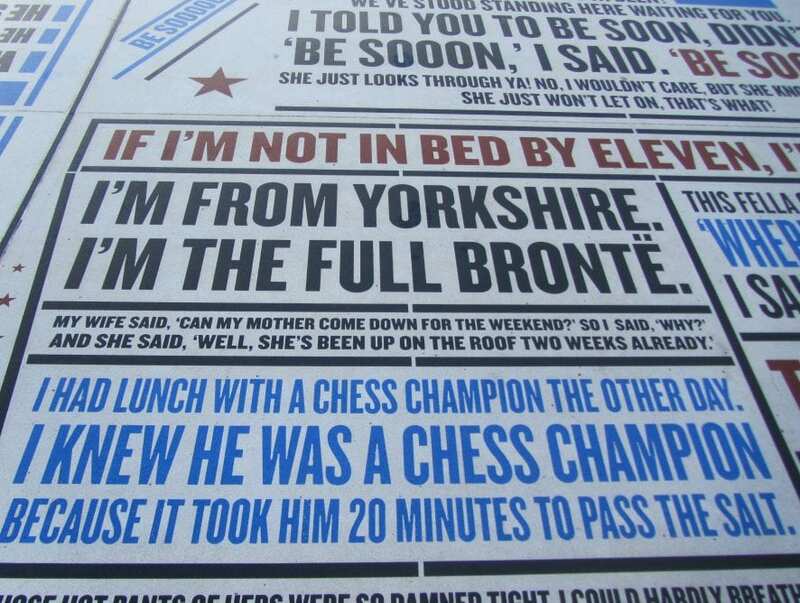 You’ll also find jokes from the great Les Dawson, Morecambe and Wise, Frankie Howerd, Tommy Cooper and many other great names. 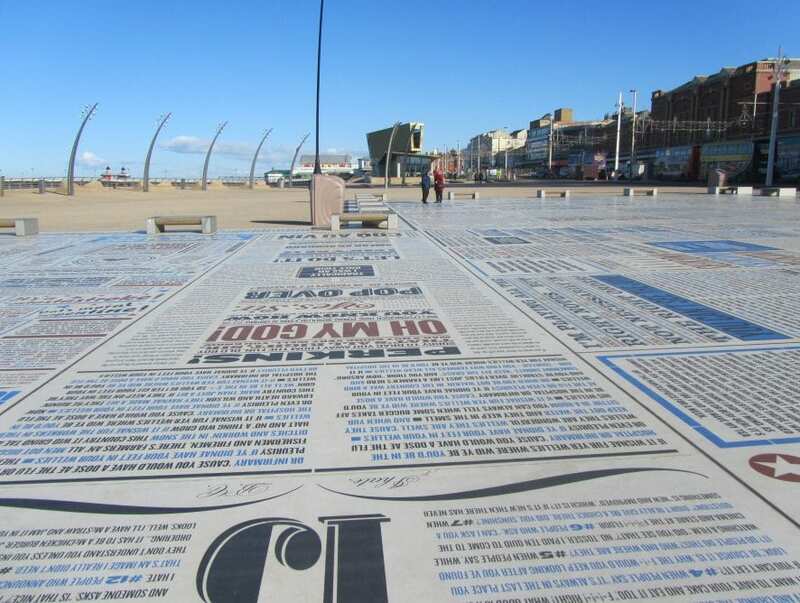 Comic performers and writers from the music halls and variety shows of the past are included, along with their modern counterparts and contemporary performers.